The EU commissioner for health, John Dalli, has resigned after an anti-fraud inquiry linked him to an attempt to influence tobacco legislation. The EU’s anti-fraud office (Olaf) found that a Maltese businessman had tried to use his contacts with John Dalli, who is also Maltese, for financial gain. This businessman had tried to influence future EU legislation on tobacco products, the European Commission said. John Dalli categorically rejected the investigation’s findings, it added. Commission Vice-President Maros Sefcovic will take over the John Dalli’s duties on an interim basis until a new commissioner of Maltese nationality is appointed, the commission said. According to the commission, the tobacco producer Swedish Match complained in May that a Maltese entrepreneur had used his contacts with John Dalli to try to gain financial advantages from the company. This entrepreneur had allegedly offered in return to influence a possible future legislative proposal on tobacco products, in particular on the EU export ban on snus, a smokeless tobacco taken orally. No transaction was concluded between the company and the entrepreneur and no payment was made, the commission said. Olaf “did not find any conclusive evidence of the direct participation of John Dalli but did consider that he was aware of these events”, it said. According to the commission, the case has not affected its decision-making process. It said that the Olaf’s final report and its recommendations were being sent to the attorney-general of Malta, and it was up to the Maltese judiciary to decide how to proceed. 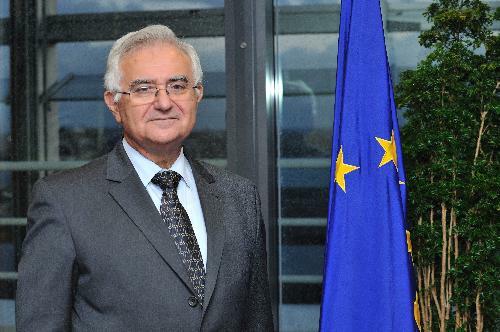 John Dalli, 64, became the EU’s commissioner for health and consumer policy in 2010. His official biography shows that his career in Maltese politics stretches back more than a quarter of a century. First elected an MP in 1987 for the centre-right Nationalist Party, he was a cabinet minister in several governments, serving as finance minister three times.